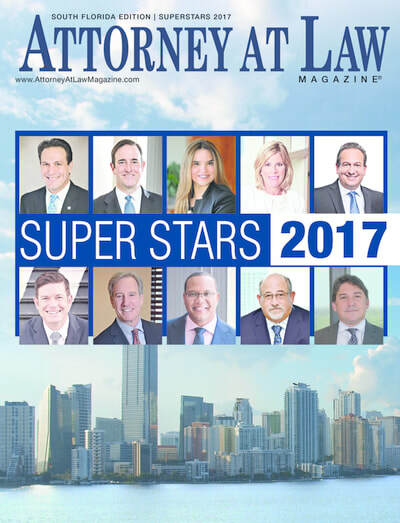 Mr. Stiers has also been rated AV Preeminent ® by Martindale-Hubbell, indicating that his peers and colleagues in the legal profession consider him to have the highest level of professional distinction and ethical standing possible in his areas of practice. 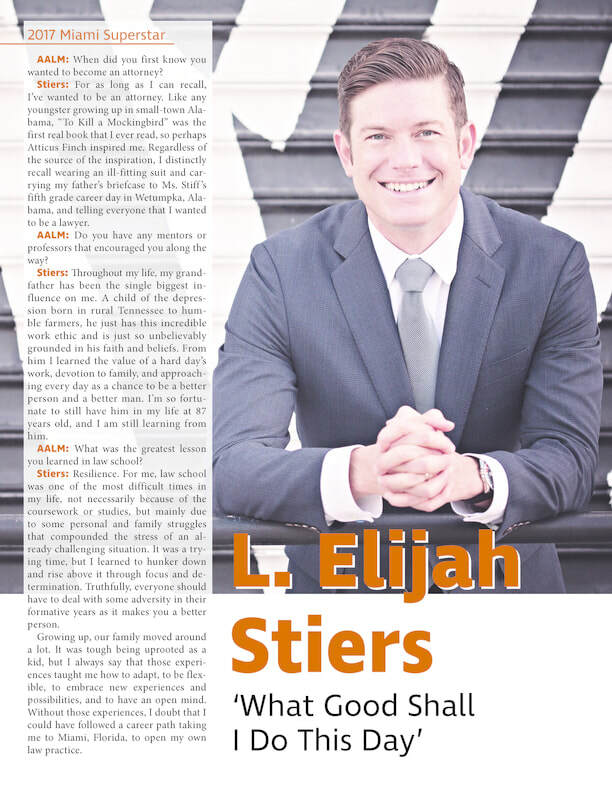 Demonstrating success throughout his 15-year career, Eli was deemed a “Rising Star” in the State of Florida by Florida Super Lawyers Magazine from 2010 through 2018, a Florida Legal Elite “Up and Comer” by Florida Trend Magazine for 2011 and 2013, and was recognized as a "Top 40 Under 40" trial lawyer in Florida by The National Trial Lawyers from 2016-2017. Additionally, in 2017 Mr. Stiers was honored to be included in the Super Stars issue by Attorney At Law Magazine. 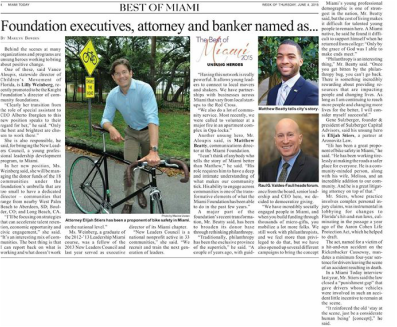 Eli currently serves on the Citizens Independent Transportation Trust (CITT), and is the Chair of the City of Miami Parks Advisory Board. 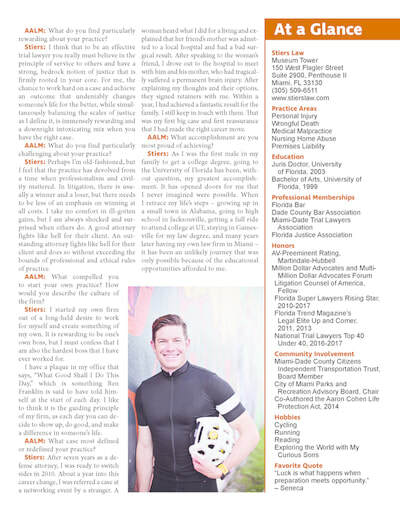 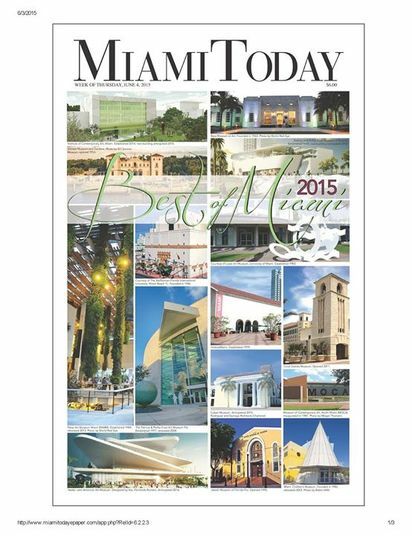 He has tirelessly fought for pedestrian and bicycle safety in Miami, and for his work in the community, Eli was recognized as a “Best Newcomer” in Miami Today’s Best of Miami 2014 issue, and an "Unsung Hero" in Miami Today's Best of Miami 2015 edition. 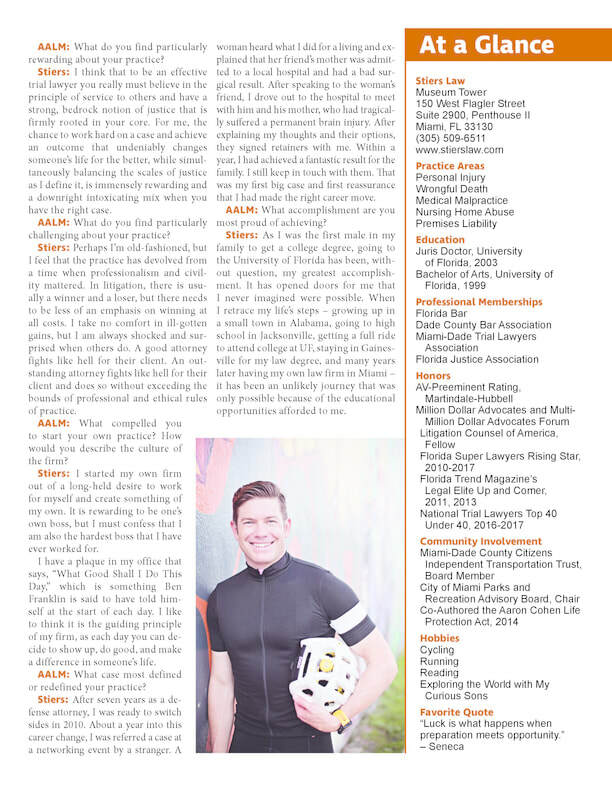 Click "Miami Bike Lawyer" above for more information about Eli's work in the community.